I was told that Akarnae was young adult, and I guess technically with the ages of the characters it was, but it reads much more like a middle grade novel, and I would suggest readers go into the book with the mindset that the target audience is for middle grade or younger end of YA. The reason I say the book felt more like a middle grade novel was that the writing was quite straightforward, with most things being stated outright rather than the reader having to read between the lines. This isn't necessarily a bad thing, because it did mean that the book was a very casual read and despite its length, could be read quite quickly. I did feel that the book dragged on a little, and the story could have been condensed to give a more coherent plotline. There were a lot of descriptions about the Akarnae Academy's various classes that I felt didn't have to be included (for example if you think about Harry Potter, they don't go through every single class there, only the ones that are relevant for the plot to move forward). 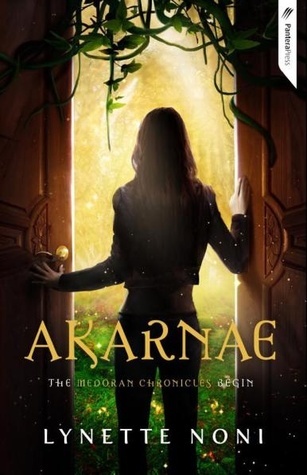 I thought overall, Akarnae was a great introduction to the Medoran Chronicles series. I'm looking forward to seeing where the rest of the series takes us.